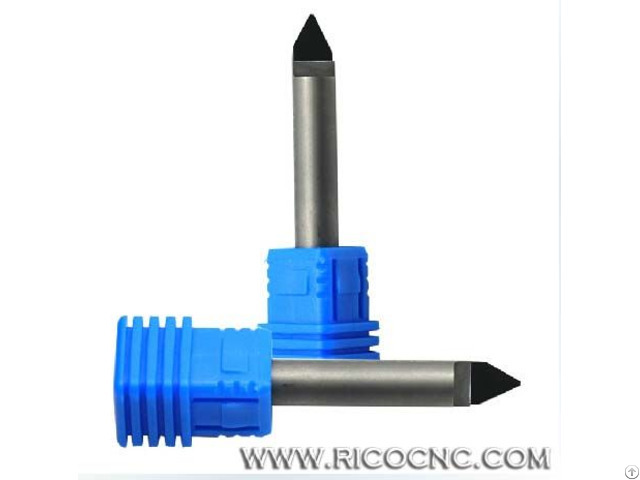 E series diamond bits are good for engraving small size letters on hard stone like granite, marbles. 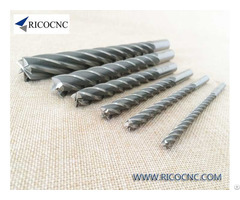 E series PCD diamond bits is suitable for carving the size of the letter had better within 4cm and carving depth 1mm one time. When sculpture letters and lines, E90-0.4 and E90-0.7 is widely used. Usually, 1 piece granite marble stone PCD carving tool can engrave 2000~12000 letters. When use the stone cnc router to engraving on granite, you had better set the spindle speed over 20000rpm, at 24000rpm the best. Pack size: 1PC in one plastic box. E90-0.4 model is hotsell. Customers usually widely use it to engrave 2-3cm letter, sculpture depth 1mm. 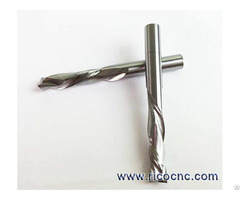 If the letter is a little big, you can choose 0.7mm tip or 1.0mm tip or bigger diamond cutter tools. 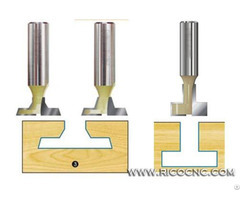 If the letter line is very small, you can choose 45 degree or 70 degree diamond cutter bits.